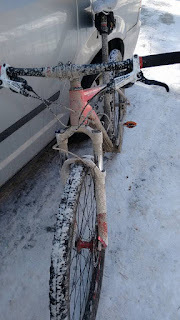 I've written about Mountain Biking in the Snow before, but ran into some un-fun conditions this weekend worth noting! Temps were perfect, snow was a few days old (and had been groomed/packed) so I figured this weekend was going to be really great. Why? Under the powdery not-very-grippy snow was a layer of ice. It was pretty awful... couldn't stay upright even, I tried for a few minutes and quickly realized it wasn't happening. 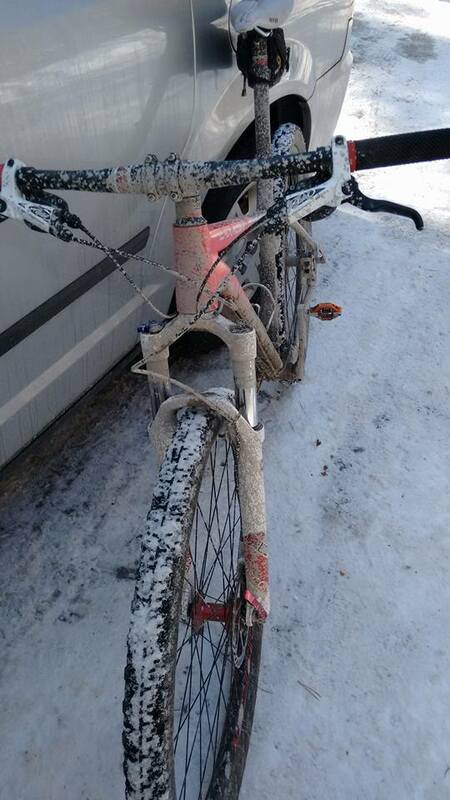 Seems there have been too many thaw/freeze cycles. Abandoned for the gravel roads. Gots muddy.